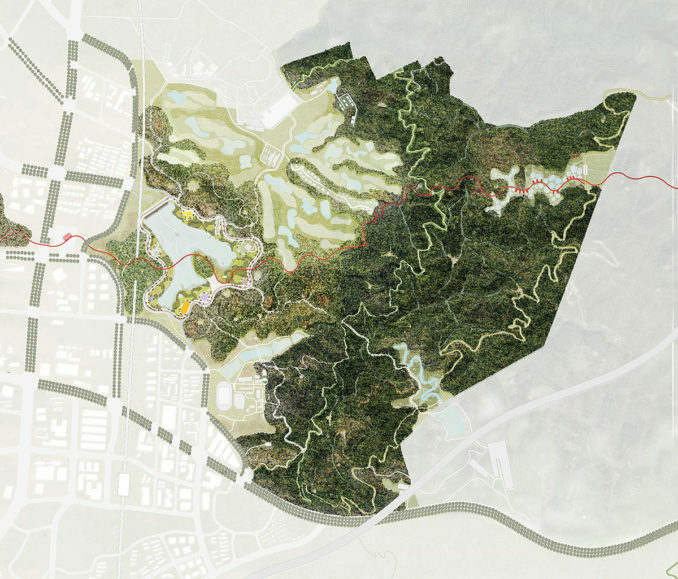 LOLA, TALLER and L+CC won the international competition for a 600-hectare forest and sports park in Guang Ming, Shenzhen, China. 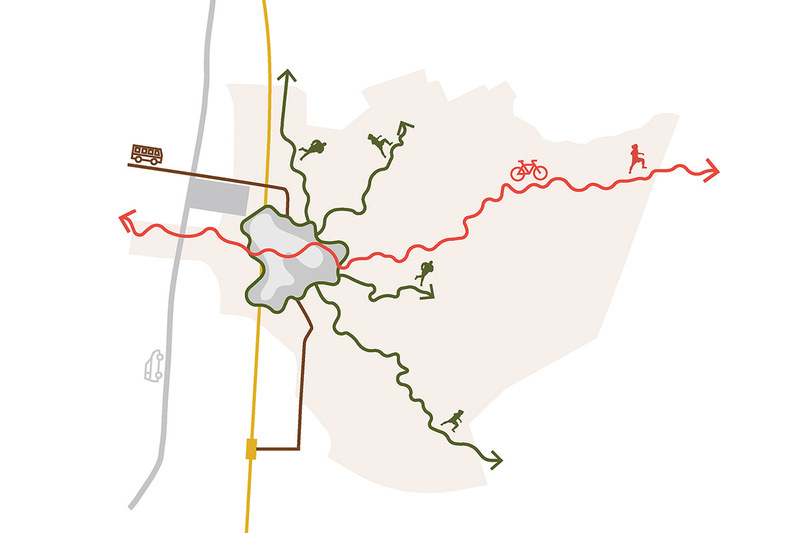 The other competitors were JCFO, SWA and TCL. 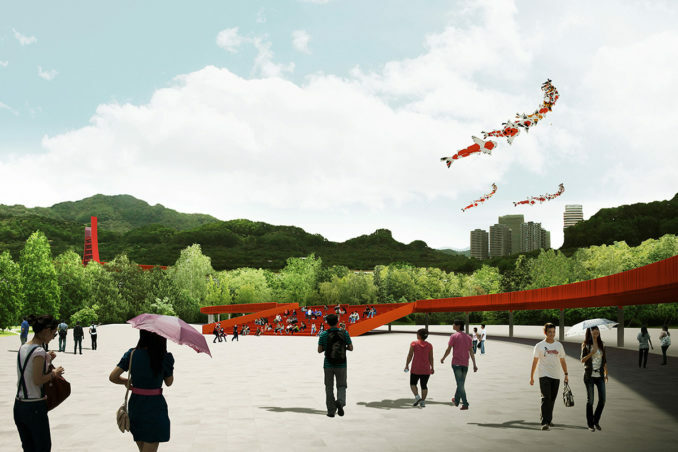 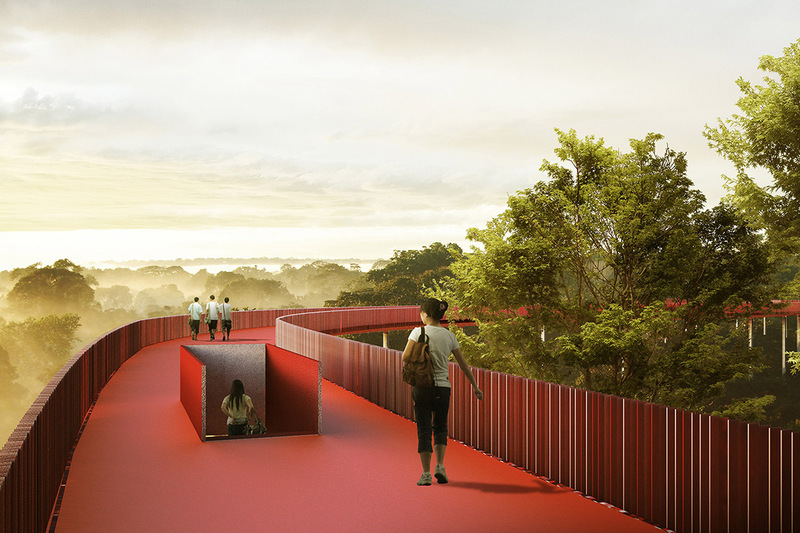 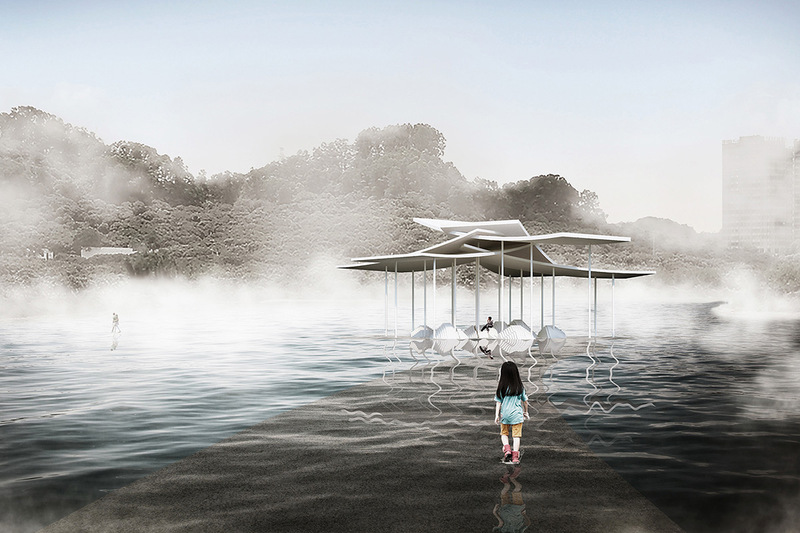 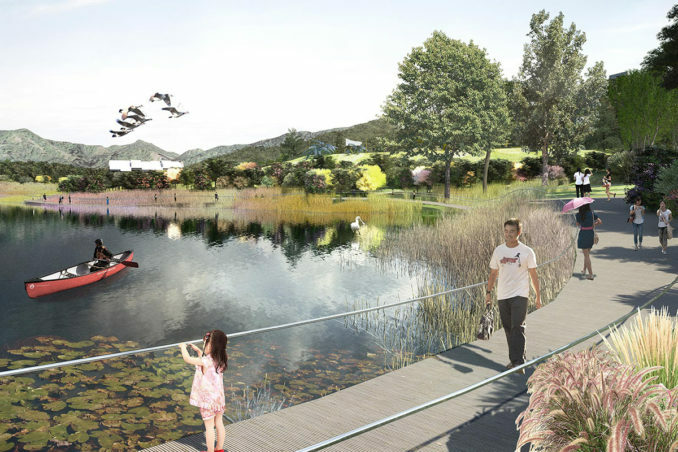 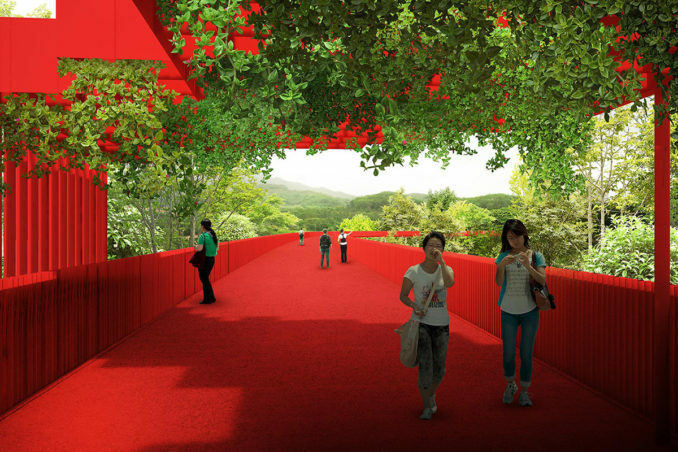 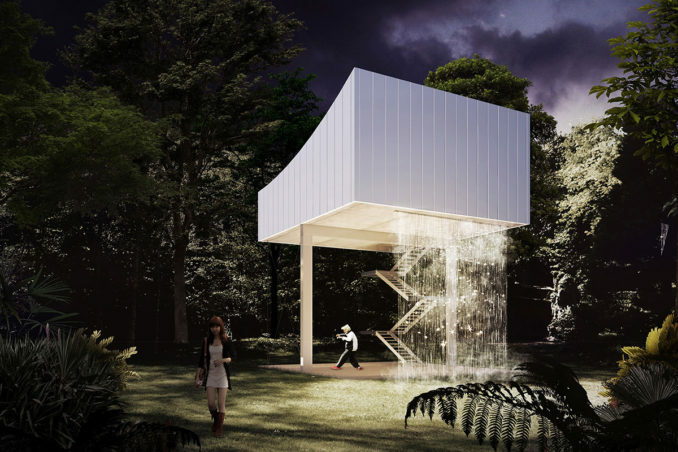 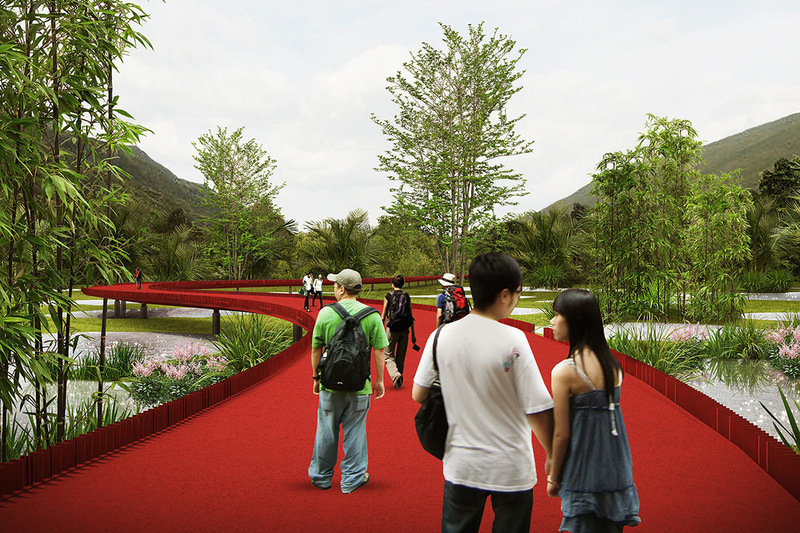 The jury praised the winning proposal for its fresh approach and being highly attentive to local ecology meanwhile incorporating romantic techniques and realistic urban functions. 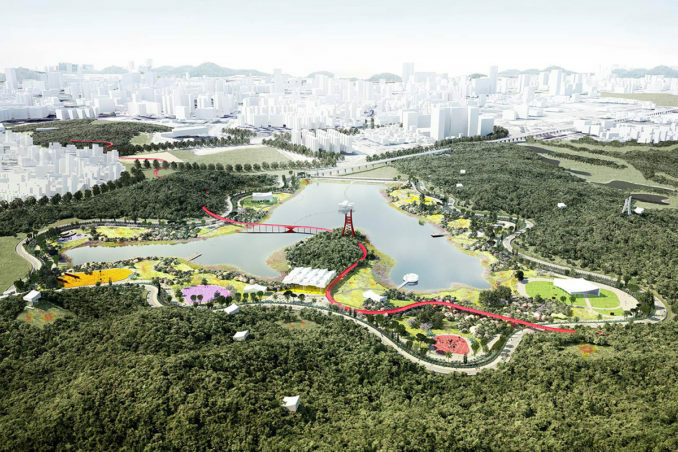 The forest and sports park is to become a destination for the Big Bay area. 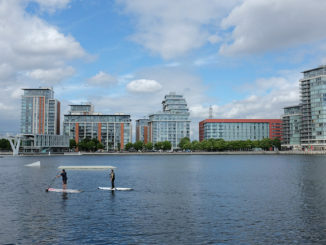 As this metropolitan region finds its success in innovative industries, the park focuses on innovation in sports and ecology. 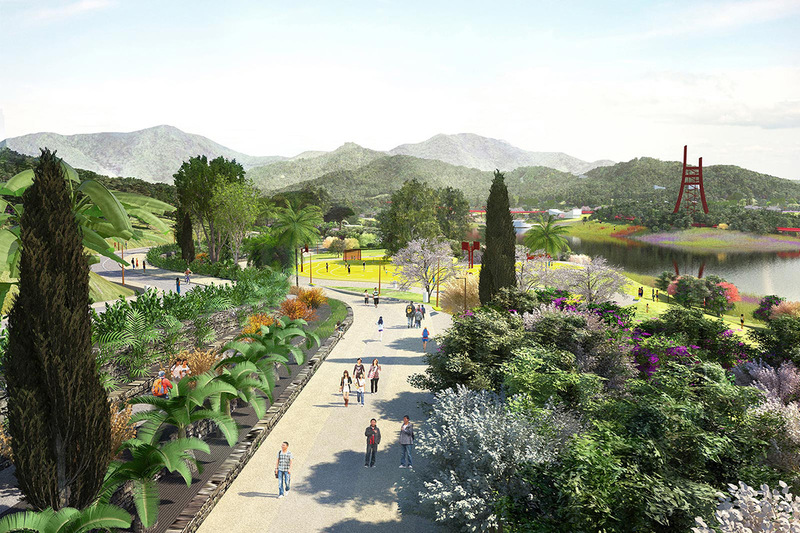 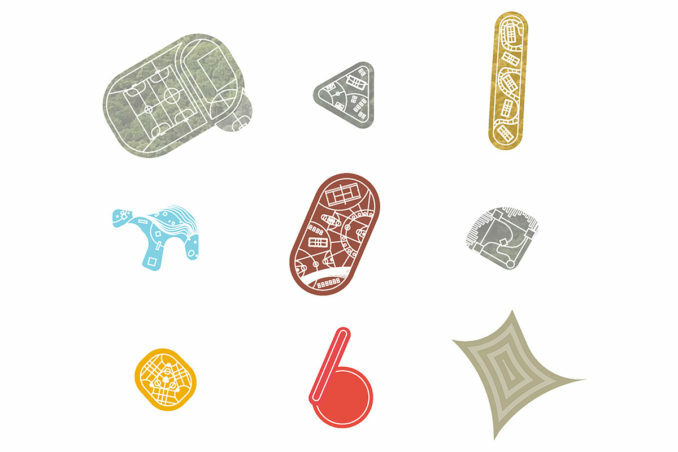 Two R&D centers, one for sports, one for botany are centrally located in the park. From here, a constant evolution and diversification of the park will take place. 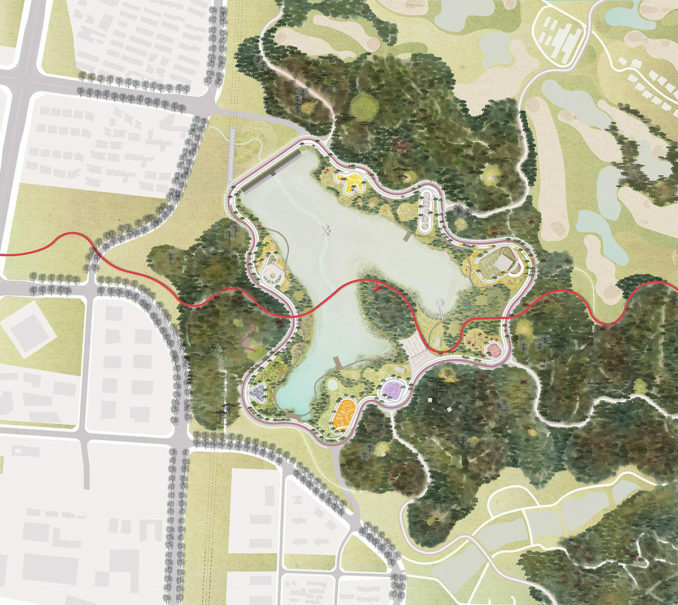 On the central park loop, a linear plant and tree nursery is integrated. 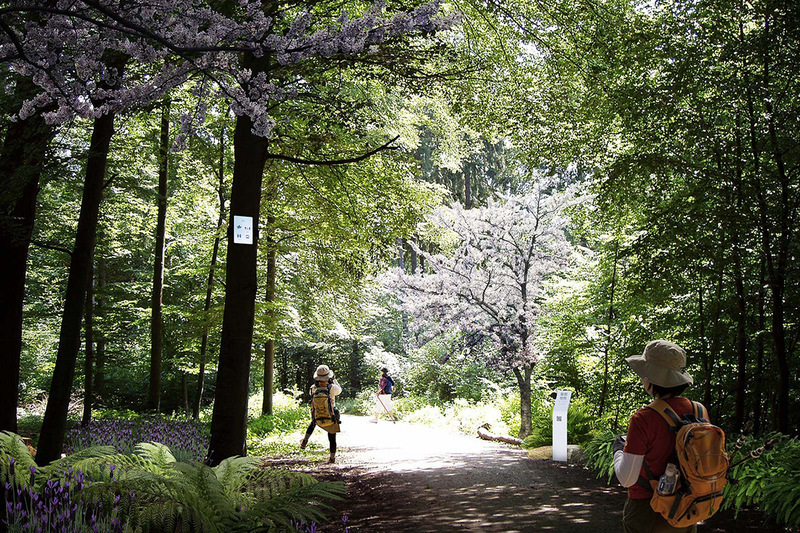 In a natural forest setting, people will be able to get to know new and ‘forgotten’ sports, as well as the latest techniques used in sports. 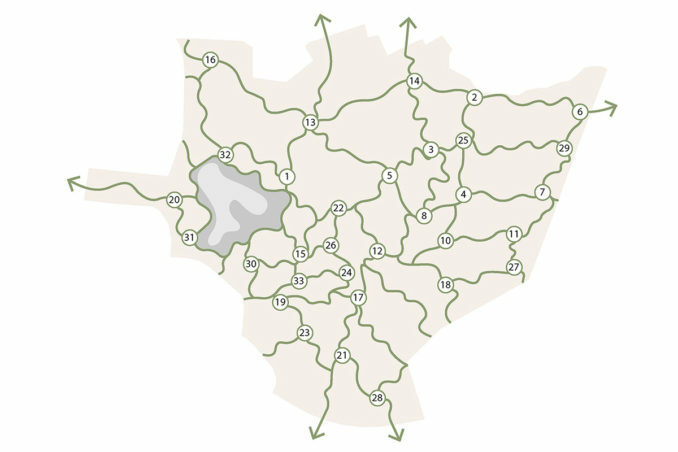 A range from open valleys to lower hills and mountain forest offers the natural background for these sports and active leisure.